Condotto | ECXTech is a Title III - Regulation Crowdfunding Campaign and is actively accepting investments. virtually anything in one place. Condotto, simply put, is “Uberizing Online Shopping.” It is the next evolutionary step in the world's e-commerce ecosystem. No different than UBER’s ride-sharing concept, Condotto looks to leverage the sharing economy to redefine how people buy and sell online. Condotto enables inventory owners and sellers to work together to introduce a new competitive and streamlined consumer experience. Condotto is a revolutionary software platform, that allows anyone to sell more product, faster to a wider audience than ever before. Using its patent-pending shared inventory technology, Condotto lowers the barriers of entry for anyone to create their own e-commerce business, thus creating a new sharing economy model for both inventory owners and sellers. This powerful system exposes any markets’ inventory to the public for sale, in potentially thousands of commissioned seller’s online stores, all over the world. In turn, increasing the audience exposure and likelihood in which something is sold, all while limiting arbitrarily marked up prices for consumers. Step 1. Cataloging items: The owner of any item will fill out a form on the Condotto marketplace. Using various information, such as images, descriptions, prices, commissions percentages, etc. about their item. Once cataloged, this item will then be added to the shared inventory system(SIS). Step 2. Shared listings: Next, Condotto’s unique platform allows any item in the shared inventory system, to be listed for sale by an infinite number of Condotto storefronts in tandem. The platform then alerts the owner that their item has been accepted for listing by other commissioned sellers’ stores. Step 3. Transaction and Fulfilment: When the item is sold through a storefront, Condotto’s payment system automatically distributes the funds to all parties. All stores that list these items will have their quantity decremented simultaneously in real-time. The item is then fulfilled by the inventory owner or fulfilment partner. The biggest difference between other platforms and Condotto is the sharing economy culture. What this means is that any item listed on the platform can be sold by any storefront for a commission. Since commissions are set by these inventory owners, other commissioned sellers are incentivized to list and market these items in their own virtual stores. Those commission prices are easily absorbed by the inventory owner as a small percentage of their margin. Condotto focuses on making sure that inventory owners always own their customer data, unlike other e-commerce platforms. In typical e-commerce ecosystems, items sold contain markups in an effort to create margins for the merchants. On Condotto, the price is fixed by the owner and the merchant can’t change the price, unless they own the item being sold. Step 1. Open a Virtual Storefront: Anyone can create their own e-commerce business by opening their own free virtual store and become a commissioned seller. To start, sellers will use Condotto’s storefront creator to build a brand around the type of items that they want to sell. They can then customize relevant information about their brand for their audience to see, such as logos, descriptions, social networks, videos, etc. Coupled with a Condotto merchant account, each individual store creates the added benefit of earning passive income seamlessly. Step 2. Search the Shared Inventory System: Next, sellers can browse potentially millions of publicly listed items in Condotto’s shared inventory system. Sellers can select items to add to their storefront as it relates to their brand. Selecting higher commissioned items will yield greater returns for the storefront owner. Step 3. Audience Reach: Store owners can use Condotto’s social media integrations to leverage any existing social media followings (ie Twitter, Facebook, Instagram, Twitch, etc.). Their storefront link exposes items listed to their social following, therefore reaching a larger audience for the inventory owner and greatly increasing the likelihood of a sale for the item listed. Step 4. Transaction: When the item is sold by a commissioned seller, Condotto’s payment system automatically distributes funds to all parties. All stores that list these item quantities will be decremented simultaneously in real-time. One of the benefits of being a commissioned seller is that they will never need to store, manage, or fulfill the items sold. Distribution is the responsibility of the inventory owner. Condotto’s sharing economy also serves as a replacement for large distribution channels such as Amazon to move product. By leveraging anyone's time and social audience as an asset, these individuals can sell any product for a commission on behalf of the owner of the item. Inherently, Condotto storefront owners become “salespeople” for all inventory owners on the platform. The beauty of Condotto’s patent-pending system is when items are listed by an owner, they can also be added to as many commissioned storefronts as they like. With this new salesforce, inventory owners increase exposure of the item listed for sale, to reach a larger audience. Are you looking for something to buy? Condotto’s AI system prompts the user with relevant storefronts that contain the items that they desire. Information is based on the buyer's habits such as purchase history, and more, help locate the items that are more relevant to them. Condotto is redefining what “one-stop shopping” is. Buyers inherently want to support any number of their favorite brand influencers. Very similar to how Twitch streamers build their own communities. When a buyer is looking for an item, they will search for items they need and Condotto returns storefront listings with the items most relevant to them. With the added benefit of AI-driven output, listing certain storefronts over others. This data is based on the user's habits and followings, which helps the balance of equal opportunity between stores. Retail e-commerce sales reached $2.3 trillion in 2017 and is projected to reach $4.8 trillion by 2021. Addressing the rapid growth over the past few years in e-commerce and the sharing economy is imperative. The world is ready for a solution that goes far beyond e-commerce as it stands today, consumer demand is pushing toward a sharing economy of the future. Condotto is that solution. $4/share of Class B Common Stock│When you invest you are betting the company’s future equity value will exceed $11M. The ECXTech Team would like to provide some updates to our investors, supporters, and followers. To start we would like to announce that our flagship product code-named Condotto has been formally branded as Lavell Virtual Stores. Through the commitments we’ve obtained from our investors, and the long hours put in by our team, we are approaching a significant development milestone months in advance. We are aiming for alpha completion by the end of the month (originally slated for later this year). In this phase, we expect to begin our internal alpha testing of the global inventory system, API servers, and user-generated virtual storefronts as well as other various platform features. As our offering comes to a close make sure to stay tuned in the next couple of days for more updates regarding the development of the platform as we strive to bring the future of e-commerce closer to reality. We would like to thank all of our investors, supporters, and followers. We encourage you to keep a close eye on ECXTech as we expect to make significant advancements in the near future. As you might know, Condotto | ECXTech has exceeded its minimum funding goal. When a company reaches its minimum on StartEngine, it's about to begin withdrawing funds. If you invested in Condotto | ECXTech be on the lookout for an email that describes more about the disbursement process. Platform Update - Core Development is Underway and Ahead of Schedule - 30K milestone reached! The ECXTech Team would like to extend many thanks to our investors that have supported our vision since the beginning. We are pleased to announce a new milestone in the development of our platform. Condotto is now in full production and is ahead of schedule thanks to our talented staff. We expect to have our Alpha product completed ahead of our original timelines. “We are very excited to have Mr. Wozniak join the Condotto team. His expertise working at the forefront of the FinTech revolution will play an integral role in designing and developing Condotto’s complex commission and payment systems. In addition, we look forward to his insight in bringing many of the advanced tool sets to Condotto’s consumers, commissioned sellers, and inventory suppliers alike. Adam will be an amazing asset in creating what we expect to be one of the most competitive e-commerce ecosystems on the market. 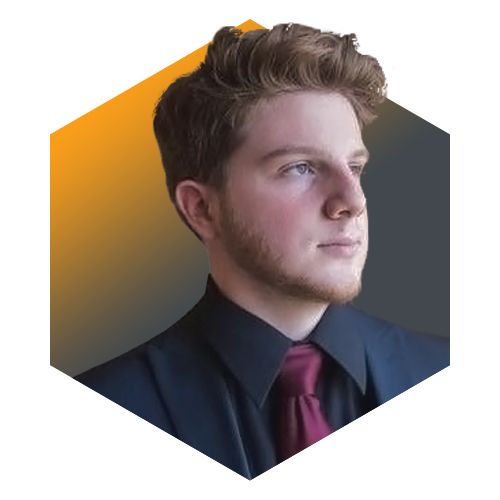 ” Ryan Cullins, CEO - ECXTECH, Inc.
ECXTECH, Inc (A Nevada Corp) - ECXTECH's mission is to open an online marketplace for both sellers and buyers using patent-pending distributed ledger technology. At ECXTECH we believe there should be an online marketplace that is truly open and fair – a platform where anyone can compete and are empowered to succeed. Our flagship product, Condotto, is that platform. Condotto expects to connect sellers with buyers directly -- revolutionizing the way we shop online. Condotto streamlines the marketplace and is an ideal tool for small and medium-sized businesses, brand influencers, manufacturers and suppliers, i.e., everyone. THIS PAGE MAY CONTAIN FORWARD-LOOKING STATEMENTS AND INFORMATION RELATING TO, AMONG OTHER THINGS, THE COMPANY, ITS BUSINESS PLAN AND STRATEGY, AND ITS INDUSTRY. THESE FORWARD-LOOKING STATEMENTS ARE BASED ON THE BELIEFS OF, ASSUMPTIONS MADE BY, AND INFORMATION CURRENTLY AVAILABLE TO THE COMPANY'S MANAGEMENT. WHEN USED IN THE OFFERING MATERIALS, THE WORDS "ESTIMATE," "PROJECT," "BELIEVE," "ANTICIPATE," "INTEND," "EXPECT" AND SIMILAR EXPRESSIONS ARE INTENDED TO IDENTIFY FORWARD-LOOKING STATEMENTS, WHICH CONSTITUTE FORWARD LOOKING STATEMENTS. THESE STATEMENTS REFLECT MANAGEMENT'S CURRENT VIEWS WITH RESPECT TO FUTURE EVENTS AND ARE SUBJECT TO RISKS AND UNCERTAINTIES THAT COULD CAUSE THE COMPANY'S ACTUAL RESULTS TO DIFFER MATERIALLY FROM THOSE CONTAINED IN THE FORWARD-LOOKING STATEMENTS. INVESTORS ARE CAUTIONED NOT TO PLACE UNDUE RELIANCE ON THESE FORWARD-LOOKING STATEMENTS, WHICH SPEAK ONLY AS OF THE DATE ON WHICH THEY ARE MADE. THE COMPANY DOES NOT UNDERTAKE ANY OBLIGATION TO REVISE OR UPDATE THESE FORWARD-LOOKING STATEMENTS TO REFLECT EVENTS OR CIRCUMSTANCES AFTER SUCH DATE OR TO REFLECT THE OCCURRENCE OF UNANTICIPATED EVENTS. RENO, NV – December 19th, 2018 – ECXTECH Inc. (the “Company”) https://condotto.com announces that it has signed a technology partnership agreement to create a structured alliance between the ECXTech, Inc. and Cycle.io, Inc. 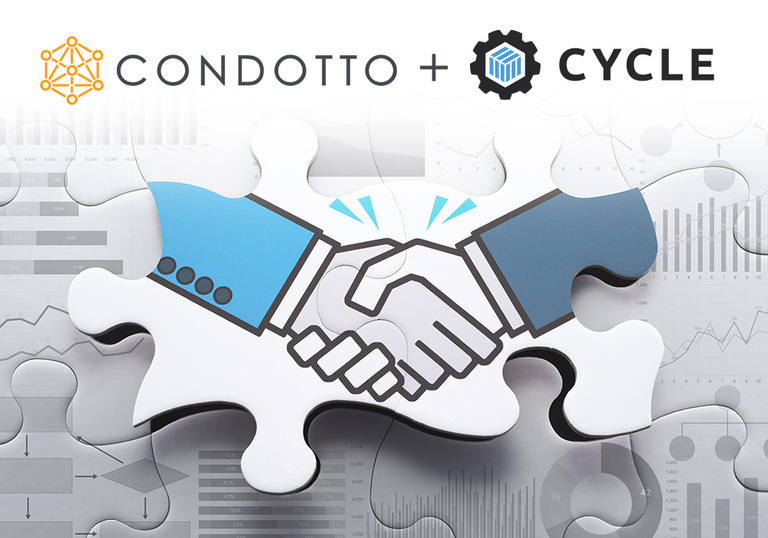 This partnership is expected to directly benefit ECXTech’s flagship product Condotto by providing powerful containerization tools for provisioning and monitoring secure private clouds via Cycle.io. Cycle’s platform makes it easier to manage complex applications at scale. The Condotto team is able to focus on building its platform rather than managing infrastructure, networks, and deployment strategies. Using Cycle’s stacks functionality, Condotto can now build a set of container images that can be redeployed any number of times so that each customer has a fully customizable storefront that exits at their own domain, which also helps with stability. Behind the scenes, Condotto plans to utilize Cycle’s API and Pipelines to push new versions of Condotto live without any downtime while also ensuring an immediate rollback/failover process in case something unexpected happens. “This new technology partnership opens up new opportunities for both Cycle and Condotto. We are elated to have a secure and powerful containerization solution that Condotto deserves.” Ryan Cullins, CEO - ECXTECH, Inc.
ECXTECH, Inc (A Nevada Corp) - ECXTECH's mission is to open an online marketplace for both sellers and buyers using patent-pending distributed ledger technology. At ECXTECH we believe there should be an online marketplace that is truly open and fair – a platform where anyone can compete and are empowered to succeed. Our flagship product, Condotto, is that platform. Condotto expects to connect sellers with buyers directly -- without becoming the middle-man. Condotto, meaning conduit, streamlines the marketplace and is an ideal tool for small and medium-sized businesses, brand influencers, manufacturers and suppliers, i.e., everyone. Cycle.io is the ultimate platform for infrastructure management and container orchestration. From startups to large established companies, businesses of any size can use Cycle as a single control panel to simplify the deployment and management of their containers with a multi/hybrid cloud strategy. Launched in February 2018 and located in Reno, NV, Cycle.io has already seen businesses from e-commerce startups to large development agencies begin utilizing its platform for simplifying their deployment processes while simultaneously modernizing their infrastructure. 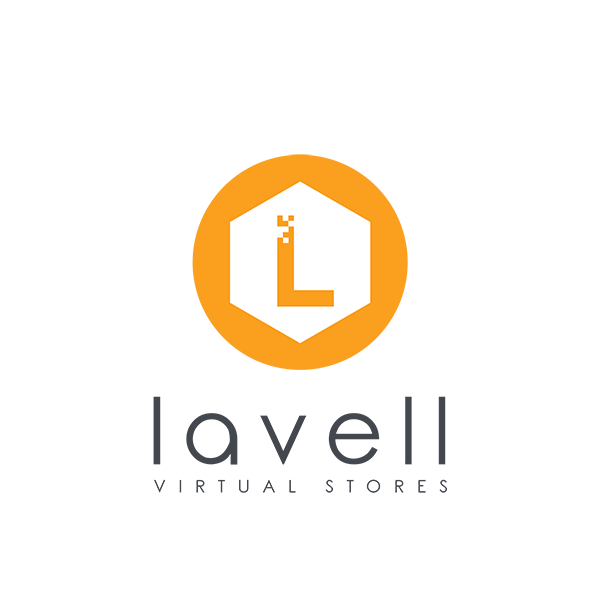 Cycle is a member of The Linux Foundation as well as the Open Container Initiative. Cycle.io is a subsidiary of Petrichor, Inc.
Condotto is being featured on Betalist! We are excited to announce that Condotto is being featured on Betalist! Check out how our company is changing the landscape for buyers and sellers online by using the power of the sharing economy. Please take a few moments to like our page on Betalist below. The team at ECXTECH would like to thank our investors for their ongoing support and are pleased to announce that we have elected to extend our offering. Rest assured that the application of our technology maintains the same focus as it once did, now with a more digestible approach crafted for a wider audience. We felt this was a great opportunity to build a more refined pitch around our platform and explain the true power of the ecosystem. We encourage our followers to review the updates to our offering page. ECXTECH has extended the end date of their offering and made updates to their campaign page. What is Condotto? Is it anything like Amazon, Shopify, Alibaba, Etsy, etc.? Yes, we expect Condotto to be an e-commerce platform like these well-known options, but Condotto does what multiple competitors do on a single platform. Condotto also addresses numerous shortcomings in their respective e-commerce ecosystems. I use Amazon, Shopify, Alibaba, Etsy, etc. to buy products and I typically don’t have any significant problems/issues. What problems/issues does Condotto solve? 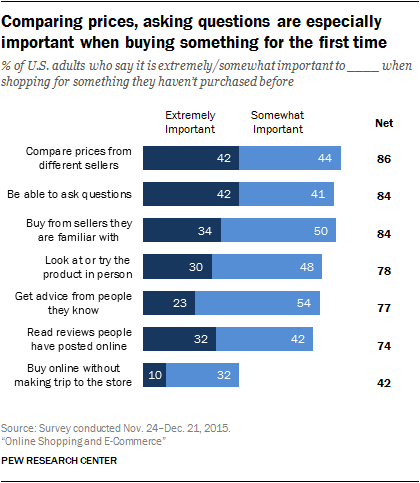 E-Commerce platforms look to make sure that consumers have a great experience. Most of these consumers don’t care what goes on behind the scenes and Condotto plans to address these problems. Condotto plans to offer the added advantage of buying and selling anything -- goods, services, and digital inventory. E-Commerce platforms are typically be categorized in two ways, large distribution (e.g., Amazon) and dropshipping solutions (e.g., Doba). Dropshipping is a retail-fulfillment method where a store doesn't keep the products it sells in stock. Instead, when a store sells a product, it purchases the item from a third party and has it shipped directly to the customer. As a result, the merchant never sees or handles the product. What are some problems/issues with large distribution platforms? Merchants may not always own their customer sales data -- When merchants do not have access to customer data from the distributor this is a detriment to growing and improving one's business. Solution: With Condotto, inventory owners and commissioned sellers are expected to own their data. Distributor bullying tactics -- Merchants who become reliant on large distribution platform sales can be bullied into selling their product cheaper or risk jeopardizing that relationship with any said distribution partner. Solution: Having access to Condotto’s global sales force. Since any commissioned seller on Condotto can choose to sell the item for any inventory owner. We expect that this will nearly eliminate the need for a single large distribution entity and also helps to mitigate the risks, instead of having just one large platform in control. The distributor ultimately controls the merchant's bottom line which can devalue the merchant's product perception. Solution: With Condotto, we expect when Inventory suppliers dictate the price and the item listing, they keep the bottom line from being hijacked and undercut by a commissioned seller. Only owners of the inventory can alter this. At the end of the day, large distribution platforms are great for consumers by making merchants sacrifice their profit margins and control, to maintain their extensive consumer audience. What are some problems/issues with dropshipping platforms? And how does Condotto help? Problem: We believe consumers pay elevated prices. In order for merchants to be able to make any profit at all they must mark up the item they are trying to dropship. This forces consumers to pay more for the same item that could be offered directly from the dropshipper. Solution: Condotto plans to use a new approach to dropshipping where markups are no longer necessary since the same item is being sold from the inventory owners and the commissioned sellers. The inventory owners just pay a marginal percentage in commission to the commissioned sellers for selling the item, this also maintains the same price for the consumer. Problem: We believe merchants “compete with the hand that feeds them.” Since merchants are selling the same inventory dropshippers can sell themselves, they might never have a better or equivalent price. Hence the need for markups in typical e-commerce ecosystems. Solution: With Condotto, we plan to let commissioned sellers sell on behalf of the inventory owners, meaning that pricing is the same between both because dropped items prices cannot be altered by those who did not list the inventory item originally. Generally, we believe merchants have a lot of competition for the same product. Since other dropshipping platforms pick their inventory partners and determine what can and can’t be dropshipped, they may limit the variability of everyone’s stores creating stiffer stale competition. Condotto looks to decentralize the world's inventory using its patent-pending global inventory system. This allows anybody to add almost any imaginable inventory item to the global inventory system and then can be bought or sold by anyone. Condotto plans on making it easy for any commissioned seller to list any inventory owners items for sale with little to no vetting process. With Condotto’s planned dropshipping solution, there is a greater chance of having public inventory available to sell since inventory owners and commissioned sellers are incentivized to work together. What excites you most about bringing Condotto to the market? Self-empowerment. Condotto empowers entrepreneurship like Uber, Twitch, etc. Makes the American dream possible. You can start a business without needing a physical inventory to sell. Low barriers of entry. There’s no need for large amounts of seed capital. Social media integrations. You can leverage your social connections to drive business. What is your market penetration strategy? We plan on soliciting brand influencers, bloggers, affiliates/partners & their respective inventory suppliers. What are some example use cases for Condotto? Little to no starting capital: Has nothing, no experience (work from home business). Medium starting capital: Some experience, Mom & Pop stores, Brick & Mortar, small chains. Large starting capital: Lots of experience, Already owns a substantial amount of inventory. For example: Let’s say, hypothetically, one of these large Brick and Mortar chains that are shutting down this year due to consumers' lack of interest in visiting retail stores to buy the things they need. This large chain could use Condotto to sell their supply right from their warehouses without retail store and dropship directly from their warehouses. Creating a new more competitive online presence. How does Condotto generate revenue? We plan to take a nominal fee on every transaction via our payment processor. We believe this will be the least invasive way for Condotto to generate revenue without affecting the way people do businesses. A variety of optional merchant subscription tools to help business growth. All content within this Q&A is subject to change as the platform is currently in the development stage. The founders of ECXTECH would like to thank all attendees, vendors, and investors who stopped by our booth to meet the team and learn more about how Condotto plans to revolutionize the e-commerce space. 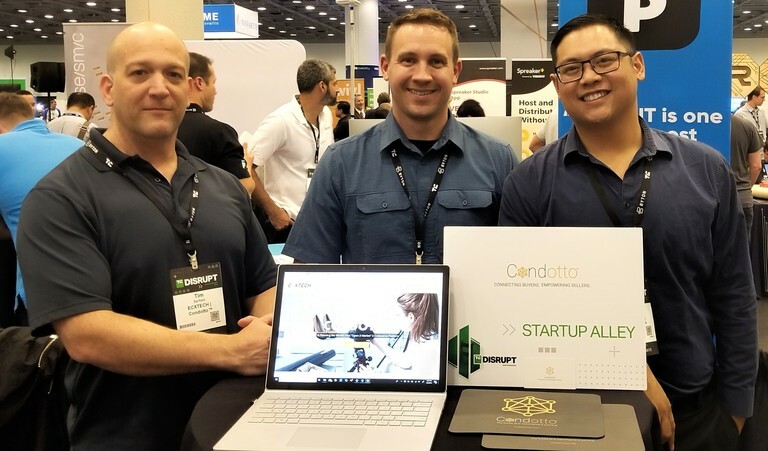 The team couldn’t be happier with the overwhelming success of the show, connecting with potential investors, partners, inventory suppliers, and consumers who are just as excited about Condotto's future as we are. Stay tuned for Condotto’s new strategic partnerships and post-tradeshow Q&A. We're delighted to announce that the executive team will be official exhibitors at Tech Crunch's Disrupt San Francisco 2018. If you are coming as another founder, investor, or techie, come and meet us on September 5th from 9 am - 5 pm @ Startup Alley with any questions you may have or just to stop by and learn more about Condotto. We’re delighted to announce that as of now, anyone can invest in our company using Bitcoin as a form of payment! However you’re able to invest, we thank you! We’re grateful to everyone who believes in our project and has already made an investment and we appreciate your help in spreading the word. We've Reached Milestone #1 -- Thank You!! We've only just begun and we’ve reached a critical milestone: $10,000 +. That means our funding round will be successfully closed regardless of the final total shares sold. We are thrilled!! We want to thank all our investors, friends, and associates who believe in our project and made their investment so early. Your confidence and early investment gives our public offering the momentum to seek more investors and make the most of the entire offering period. Over the next few days and weeks we will be reaching out to larger and larger audiences to introduce them to our investment opportunity, so keep coming back to see how our campaign grows. And by all means, spread the word. RENO, Nev., Aug. 14, 2018 /PRNewswire/ -- A little-known startup gained immediate traction through the crowdfunding platform StartEngine when it launched its crowdfunding campaign earlier this month. ECXTECH is building a decentralized e-commerce platform and aims to bolster brick-and-mortar businesses by rethinking the online marketplace. Its platform is called Condotto, meaning conduit, and plans to change the landscape of e-commerce by reducing barriers for both sellers and buyers by using patent-pending distributed ledger technology. Using patent-pending distributed ledger technology, the project expects to create the world's largest "global inventory management system." This system will allow the sale of goods, services and digital inventory. Any merchant or supplier with the ability to dropship will be able to use Condotto. "Our goal is to provide a platform where sellers and buyers can connect directly through a web of socially connected, user-generated virtual storefronts, where users can list services, products or anything else they would like to sell," says Ryan Cullins, CEO of ECXTECH. The Condotto team launched its StartEngine campaign to give access to ownership in the company to anyone interested in investing in practical blockchain technology companies ready to solve real problems. Investors can also use bitcoin to invest. ECXTECH's mission is to open an online marketplace for both sellers and buyers using patent-pending distributed ledger technology. At ECXTECH we believe there should be an online marketplace that is truly open and fair – a platform where anyone can compete and are empowered to succeed. Our flagship product, Condotto, is that platform. Condotto expects to connect sellers with buyers directly -- without becoming the middle-man. Condotto, meaning conduit, streamlines the marketplace and is an ideal tool for small and medium-sized businesses, brand influencers, manufacturers and suppliers, i.e., everyone.